I haven't participated in a Booking Through Thursday in awhile so I thought I'd do it today. This book has been sitting on my shelf FOREVER! Lots of ladies I know are Francine Rivers fans and so I kinda gave in and bought this one because they all rave about her. I'm not quite there yet and, obviously, given the dust that has collected on this one, I'm not all together convinced. Yet. 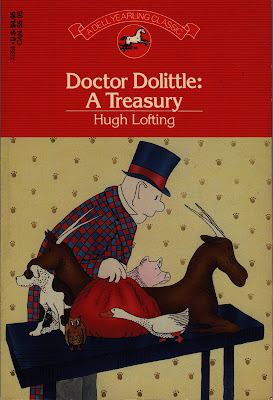 Sarah at Library Hospital talked about the Dr. Doolittle stories awhile back which prompted me to purchase a copy. And I have every intention of reading it. Really, I do! Many years ago I thought I would read something a little bit outside of my usual reading comfort zone. Many years later I'm still staring at it thinking I should read it sometime. Lastly, I picked up a copy of the following at our library's booksale, oh, two years ago. I like Bombeck and I KNOW I will enjoy this book. I just haven't picked it up yet. And my goodness - the covers on all of the above books are OLD ones. Which makes me feel like I've wasted even more time in not getting to them in a timely manner! ha! Happy Booking Through Thursday to you! 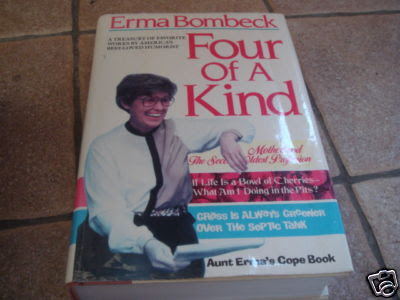 I used to read every Erma Bombeck book that came out. That really takes me back. The Dr. Doolittle one looks great. Thanks for stopping by today! Enjoy your reading. 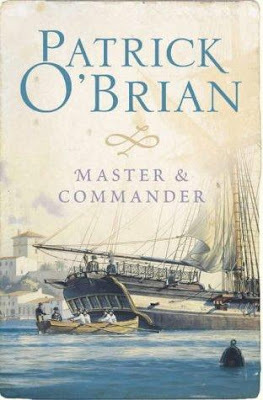 I love Francine Rivers (that one has stayed with me, although it's not my favorite by her), and I quite enjoyed my tour of Patrick O'Brian's Aubry and Maturin series. I really want to read the whole thing again. As a confirmed Francine Rivers fan, may I suggest the Mark of the Lion series? It's GREAT historical fiction. Her novellas are good, too. Really, you can't go wrong with any of her books! My favorite of Francine Rivers is the Mark of the Lion series about Christianity in the first century. I did read The Scarlet Thread a long time ago but I don't remember much about it. 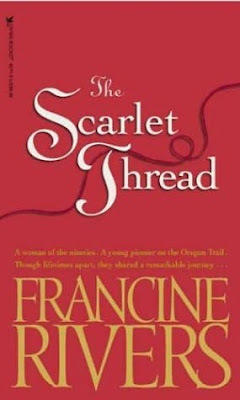 My favorite of Francine Rivers is The Scarlet Thread. I love to laugh, so Erma Bombeck would be the first one I'd pick up from you pile. I enjoyed A Scarlet Thread, but I have set aside most of her other books because I couldn't get into them. If you are going to read FR, for pity sakes don't start with The Scarlet Thread. Come to me - I will loan you her best. I imagine you might most enjoy her book that deals with Abortion (though the love story in it might annoy you - I have my own mixed feelings about it, but find the abortion side powerful anyways) but maybe more so her Mark of The Lion series that takes place during the times of early Christians.